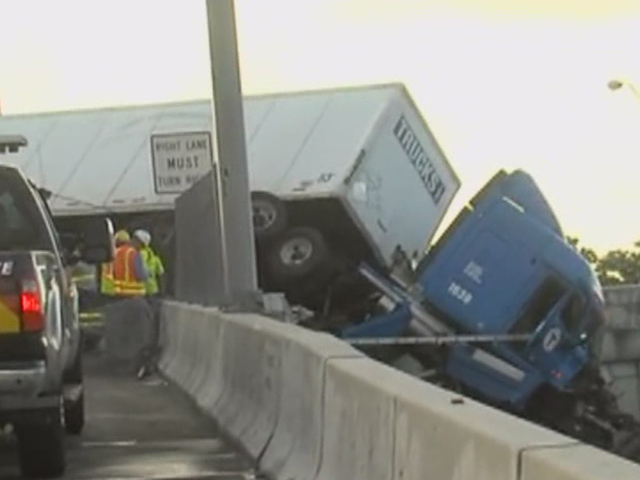 A tractor-trailer was left in a precarious position after a crash on Interstate 95 in Boca Raton. The wreck, reported at 4:17 a.m. ET, closed an exit and entrance ramps both north and south while crews worked to move the semi. The Florida Highway Patrol said no one was hurt in the crash, but the truck's fuel tanks may have been compromised during the wreck. The driver said he thought he was on the express lane instead of the off ramp. The semi was hauling cabinets. At 8:30 a.m., two tow trucks are at the scene to remove the semi. 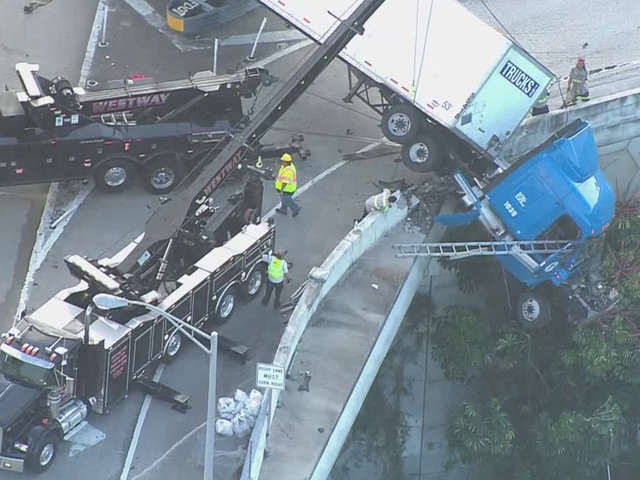 UPDATE: Crash involving a tractor-trailer in Palm Beach on I-95 south ramp from Exit 50 Congress Ave, on-ramp closed. 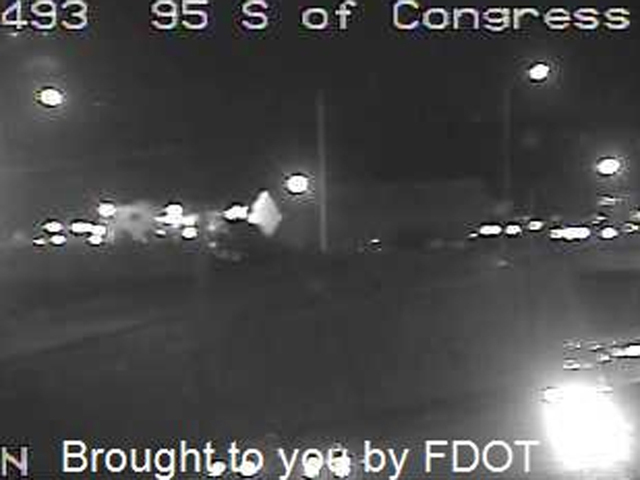 UPDATE: Crash involving hazardous materials in Palm Beach on I-95 south ramp from Exit 50 Congress Ave, on-ramp closed.